It's the epic conclusion to last week's amazing episode! Eh, well, OK, maybe I'm fudging things a bit. 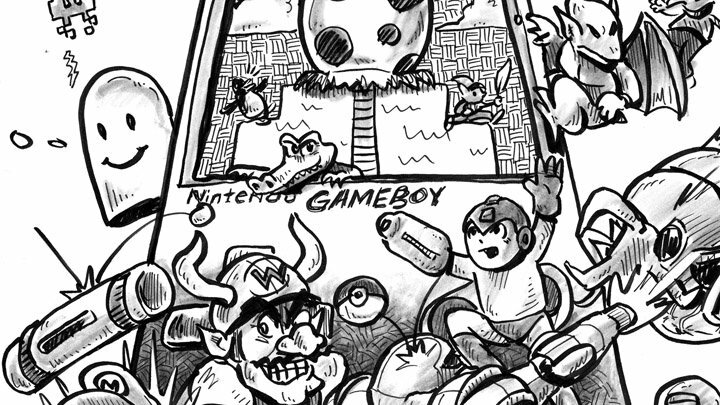 But I did promise after last week's talk of Bubble Bobble that I'd follow up with a piece on sequel Puzzle Bobble, and by cracky that's exactly what we have here. Of course, most of our listeners are based in the U.S., so you probably know this series by its inexplicable localized title, "Bust-A-Move." Whatever you want to call it, however, it's good stuff. A real, weapons-grade, match-three kind of affair. 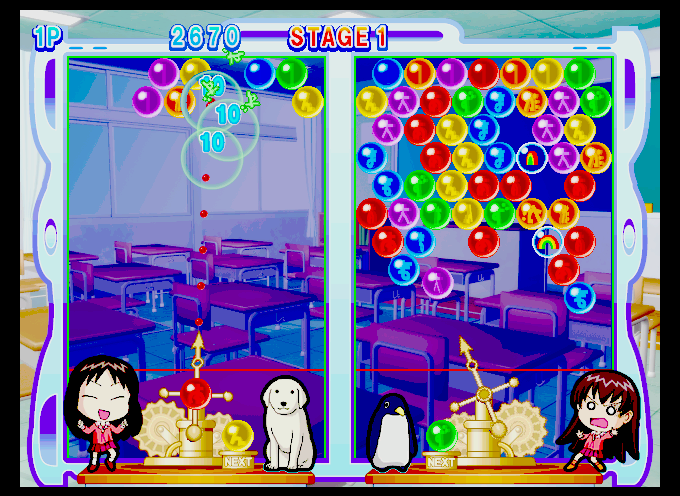 It has only the most tenuous connection to Bubble Bobble, of course, which means you might occasionally come across an adaptation in which developer/publisher Taito has replaced Bub and Bob with, say, the cast of the Azumanga Daioh anime. 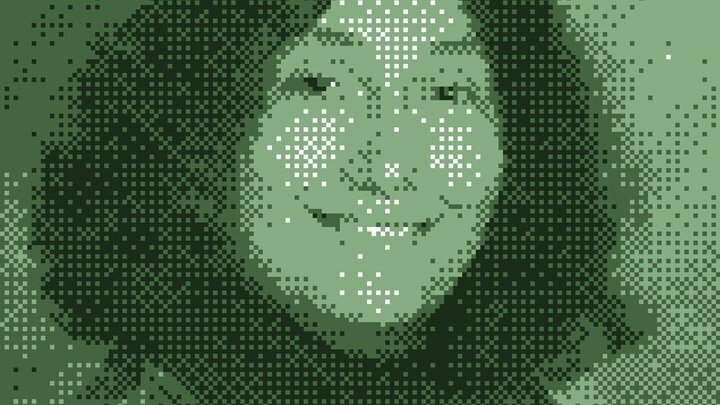 Or, more likely, you'll come across shameless ripoffs in which outside developers have (without shame or apology) replaced Bub and Bob with completely unrelated characters and made a fat stack of cash by stealing Taito's work. Such as Snood, the extraordinarily ugly clone that served as my introduction to the series thanks to the magic of Macintosh shareware. 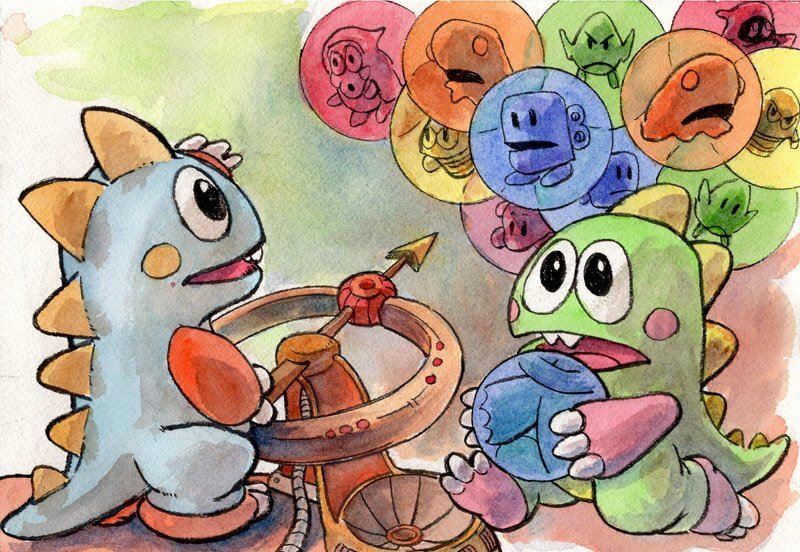 Even if you've never played legitimate Bust-A-Move or Puzzle Bobble releases, odds are pretty good that you have experienced the series' concept in some form. 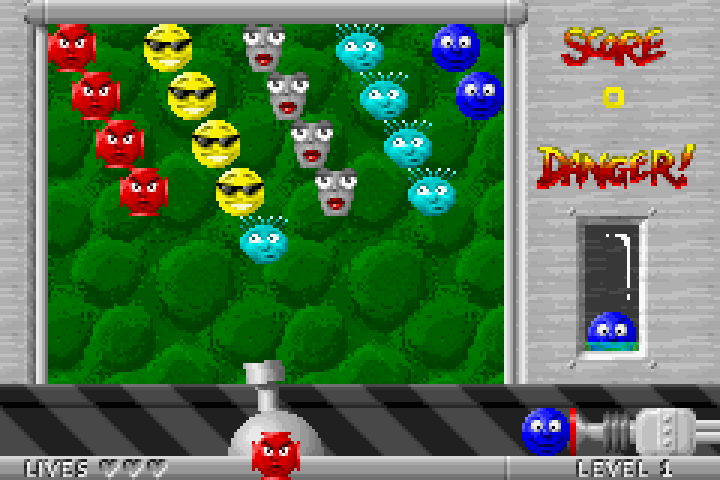 Colored orbs advance toward the bottom of the screen, and you have only a pivoting launcher anchored at the center-bottom of the play field with which to fling bubbles back into the screen in an attempt to clear the encroaching threat by creating color matches. A pretty mundane description, perhaps, but the game is so terribly addicting. 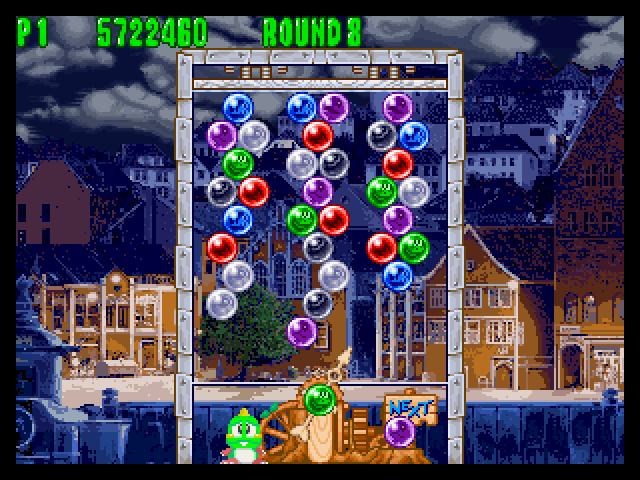 Having survived the Bubble Bobble episode, Jeremy mops up the franchise with a look at its most popular (or at least most imitated) branch: The iconic color-match puzzler Bust-A-Move... more sensibly known as "Puzzle Bobble." 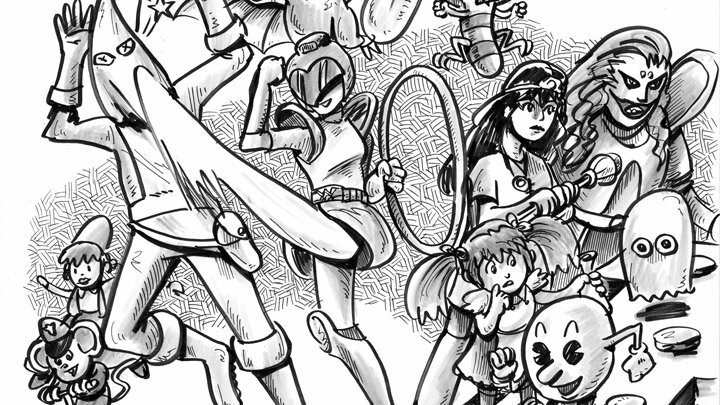 Much this week comes from a panoply of Puzzle Bobble sequels. Yes, I realize it's annoyingly upbeat, but that's what I had to work with. When life gives you lemons, create saccharine lemon desserts. Don't worry, next week's episode will include much better music. 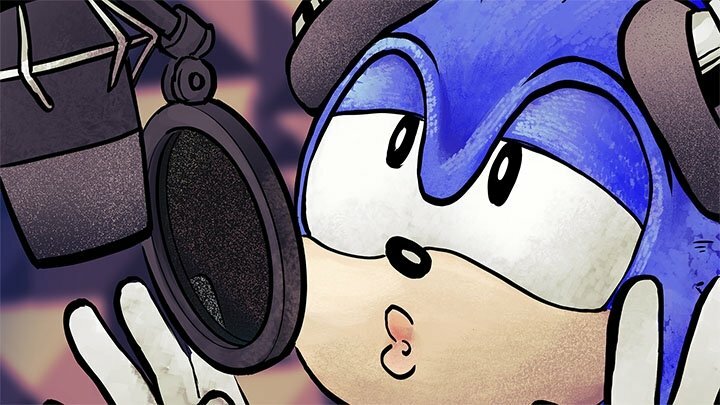 This week also marks my return to creating episode cover art after nearly a year away. You'll be happy to know Nick Daniel will still be illustrating Bob's episodes, though, so those of you who prefer his more vivid digital compositions to my washed-out watercolors aren't totally out of luck.